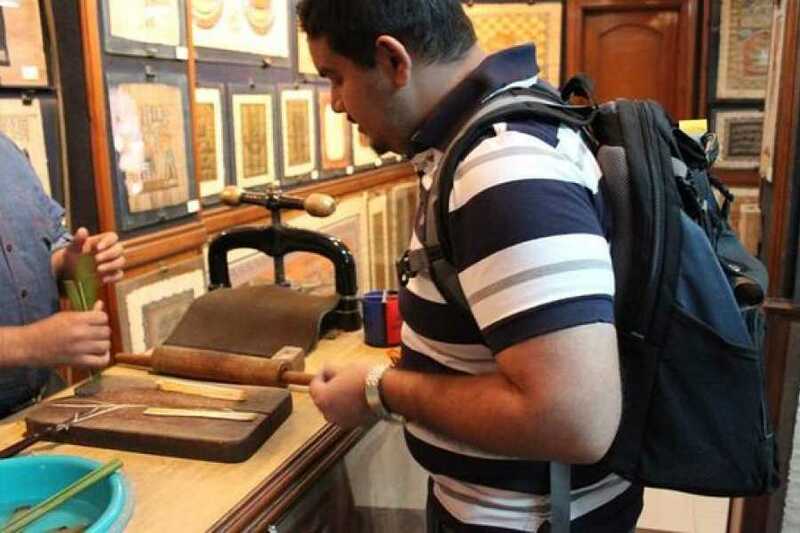 Shop for authentic Egyptian souvenirs with your own private guide for a hassle-free experience, safe in the knowledge that only quality products are on sale. The half-day experience starts at a time that suits you best, and visits a government-approved shop where certified Egyptian products can be found. Browse papyrus paintings, fragrant oils, jewelry, and more — all with no obligation to buy. As per requested time start with pick up time from (8:00 or 9:00 or 10:00 or 11:00 or 12:00 or 13:00 or 14:00 or 15:00 or 16:00) you will find your tour guide holding a sign of your name at the lobby area of your Hotel in Cairo or in Giza, transfer in private A/C vehicle latest model your tour guide will explain you about every thing possible to see and if you have your own shopping list your tour guide will help you. What is the value of accompanying a local guide on this tour? As for the replicated products in Egypt, they use chemicals or cheap materials after repainting such as copper to become like precious gold or using aluminum to become like precious silver or using fiberglass and refilling it with sand or gypsum to become a statue made of stoneو Where there is no control of the Egyptian government on these products, either in the markets or paving the streets. Middle class people in Egypt can afford to buy from these stores and they believe this is the best way to find their staff with one fair labeled prices , No push to buy, hassle free, Excellent packaging, certificate guarantee and bill. 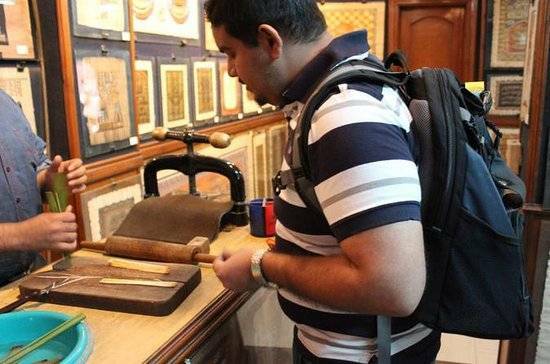 There are so many things to see and learn about such as Egyptian papyrus paper paintings, Egyptian Oils and perfumes, Real Egyptian cotton products, Real gold and silver jewelries and original hand made carpets. After you finish your Safe shopping for high quality souvenirs drive back to your Hotel.